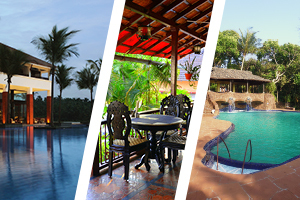 For us, a tailor-made holiday to Goa is all about freedom - freedom to choose what suits you best, freedom to select from our finest hotels and the regions on offer; freedom to use your imagination and build the perfect holiday. We can arrange any combination of hotels; just give us a call to discuss your ideas. 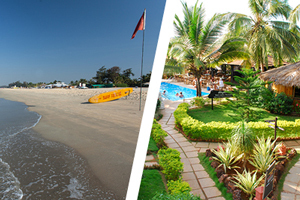 Experience the dramatic contrast between north and south Goa with a twin centre at two quality Taj hotels. Relax and unwind on the soft power white sands at the Taj Exotica before heading north to the Taj Holiday Village, where bustling beach resorts, lined with colourful beach shacks and vibrant markets full of crafts and souvenirs, are all on your doorstep. It's time to step away from Goa's stunning coastline and experience some more of the state's treasures without solely relying on the sun, sand and sea. 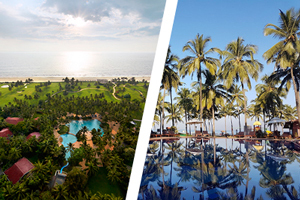 Take to Goa's spectacular countryside, striking jungle and peaceful waterways staying in unique and rewarding properties as you go, located across India's sunshine state in some of its most alluring destinations. 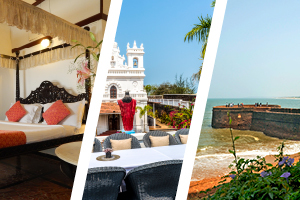 Embrace Goa’s colonial Portuguese roots with an unforgettable holiday experience at three of our most unique properties. Spend your first two nights exploring the state’s capital, Panjim, whilst staying at the historic Panjim Inn. Set in the heart of Fontainhas, Goa’s intriguing Latin Quarter, you can fully immerse yourself into the state’s rich colonial past. 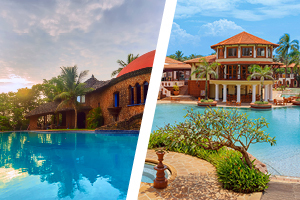 Moving onto Fort Tiracol, you'll enjoy stunning vistas and further Goan history, before moving onto Taj Fort Aguada, where total luxury awaits. Rest and rejuvenate with our Total Relaxation twin centre and let your worries drift away. Fill your days at Nilaya relaxing by the pool, drinking in the panoramic views before moving to ITC Grand Goa, where you can take advantage of the spa facilities, yoga sessions and beautiful surroundings. An alternative way of experiencing the dramatic contrast between north and south Goa, this twin-centre is a fantastic option for anyone on a budget. Explore the south's glorious beaches such as Cavelossim, which is just a short stroll from Sao Domingo's, and then enjoy the colourful beach shacks and exciting vibes of the north at Santana Beach Resort, our customers' favourite hotel.